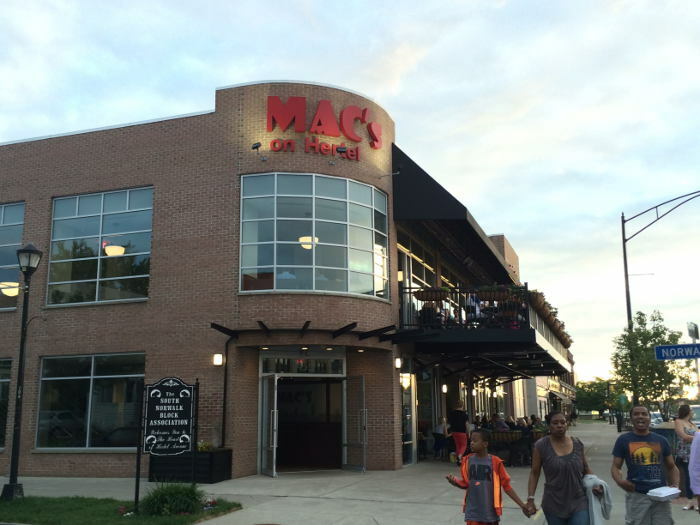 Mac’s on Hertel opened up in May of 2015 in the location previously occupied by The Empire Grill. 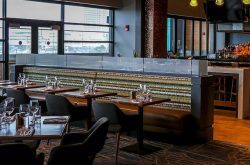 The space has been dramatically upgraded by moving the stairway to allow for a large circular bar in the first floor center, and a second floor balcony. While the place is still pretty new it seems like it’s firing on all cylinders. 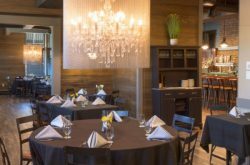 Owner Mark Bohn also operates Bohn’s Restaurant in Batavia. 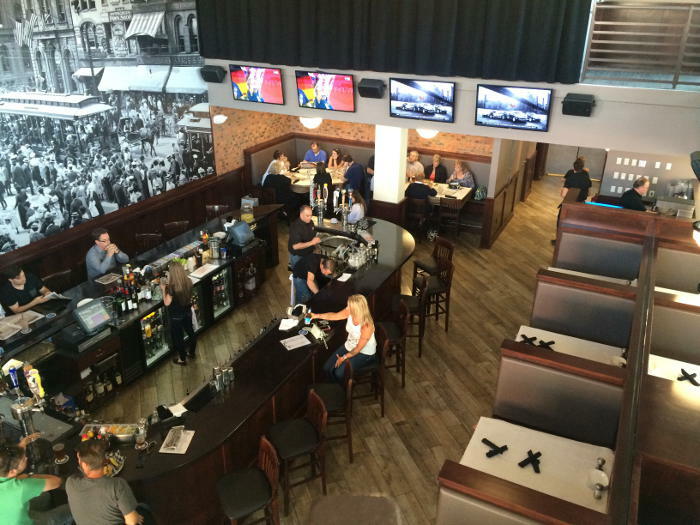 Mac’s is an interesting combination of sports bar on the lower floor plus patio and restaurant upstairs. 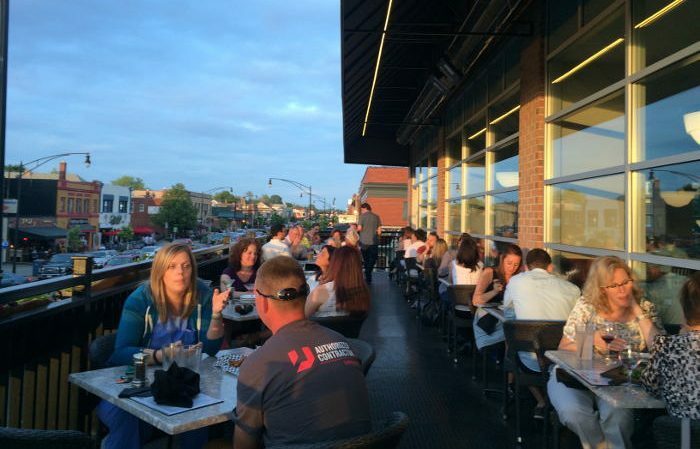 The patio’s on both floors overlook Hertel Ave and add a great open air element. 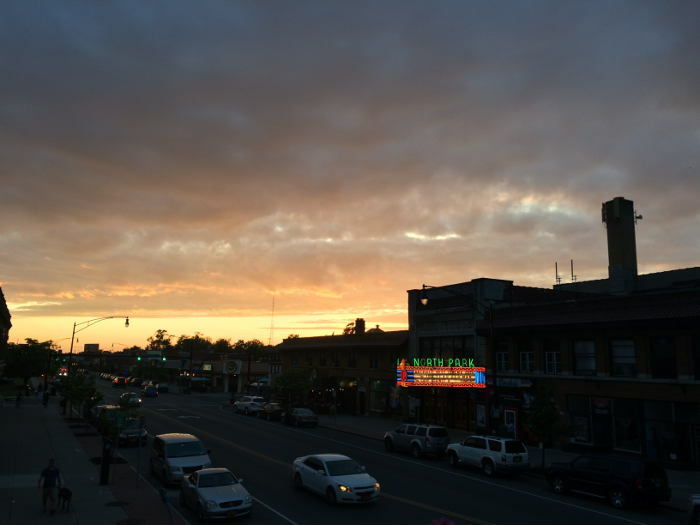 Mac’s on Hertel is perfect for a long list of occasions like family dinner, catching a game, a weeknight bite, weekends ’til wee hours, casual date night or a chardonnay on the patio. 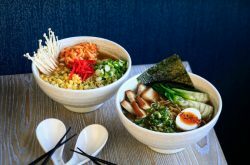 They offer a wide variety of options on the menu to cover everything from small kids to meat lovers to salad eaters. 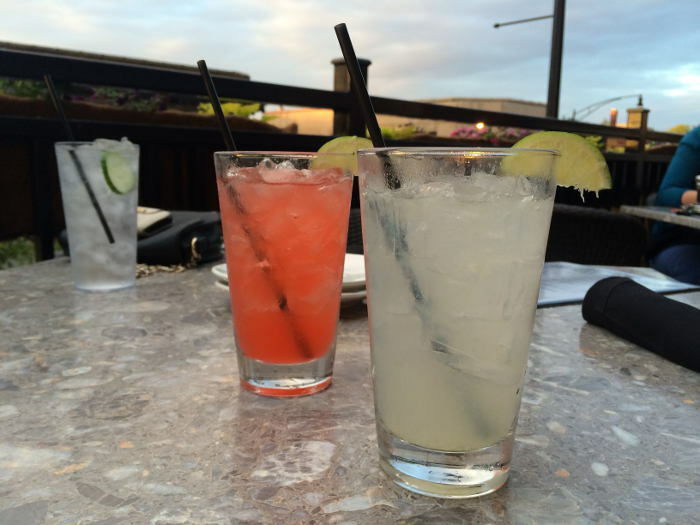 Grab a seat on the patio while you can still enjoy the outdoors. The menu is a clever menu/newspaper combo printed on newsprint with food items and a few bits of info/local knowledge (available to take home). 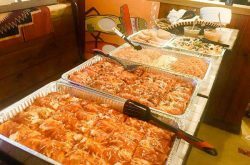 Offerings include a nice selection of appetizers, soups, salads, sandwiches, burgers, large plates and late night options. In the large plate (entree) area they offer rotisserie chicken, steaks, noodles, salmon and more. They have a fine selection of beers with locals on tap that included Hamburg and CBW. While their wine list is not long they have some really good options in just about every category. My understanding is the late night menu is pretty popular, served 11 pm-2 am Thurs.- Sat only. It includes three trash plates, a burger, chicken fingers, skins and few other items. They also have Sunday Brunch 11-3. 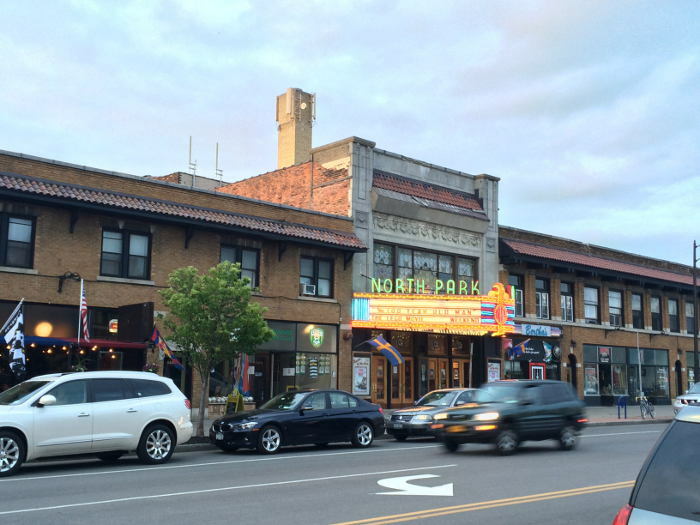 We stopped at Mac’s on Hertel on a weeknight for a quick bite. 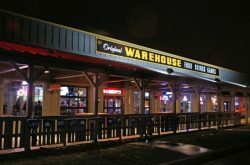 The place was lively with a good crowd at the bar and most tables on the patios full. We were seated immediately at a table for two on the railing upstairs. A perfect spot to people watch. and look around. 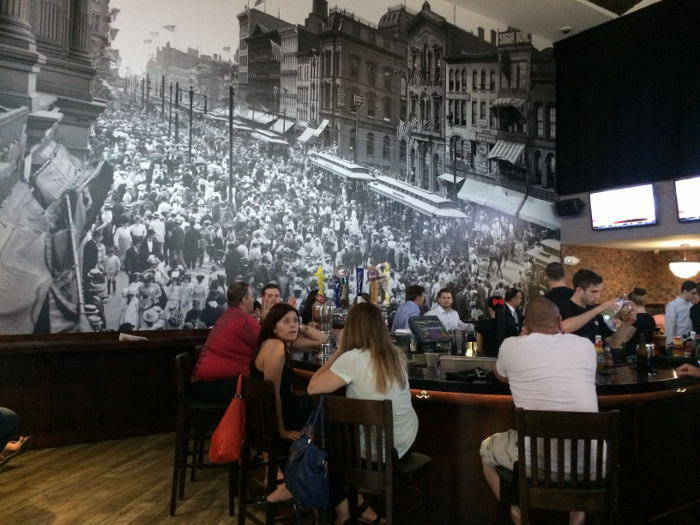 Mac’s has one wall decorated with a historic photo of downtown Buffalo that would keep you occupied no matter what the crowd. My understanding from our server is these were just recently renamed to be “Now Famous” because they can’t be famous at the onset. That works. I don’t know how famous they are but they are good. 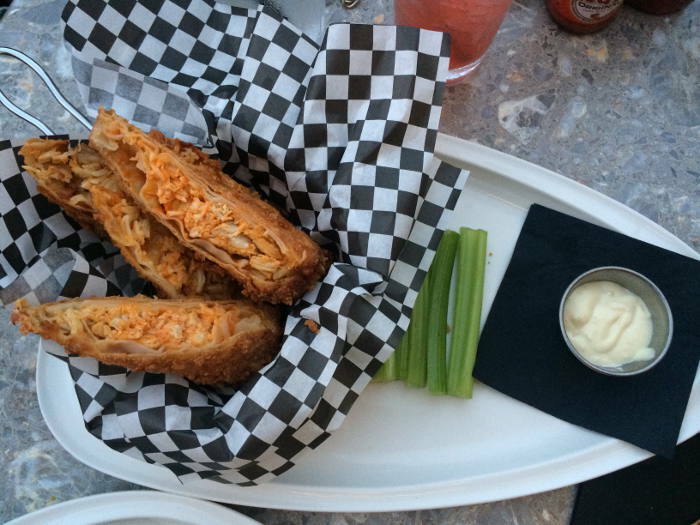 A great alternative to get your Buffalo sauce fix outside of the standard wing. 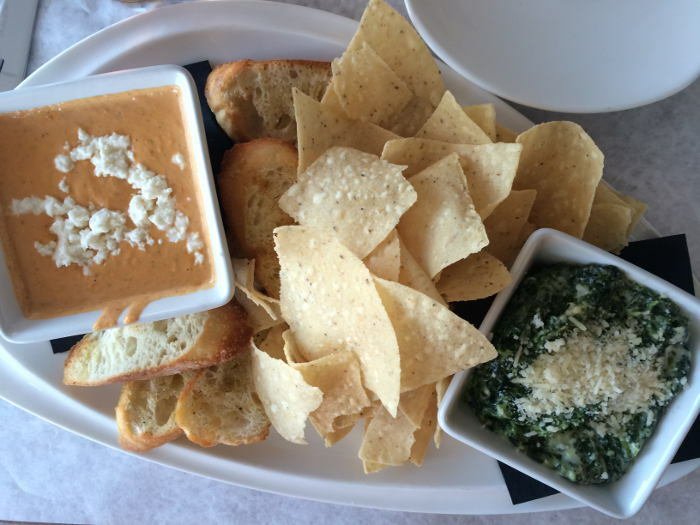 Both of these dips were high-impact flavor and the chips were perfectly buttery. Plenty here for two, better four, and they were good enough to warrant a trip home. 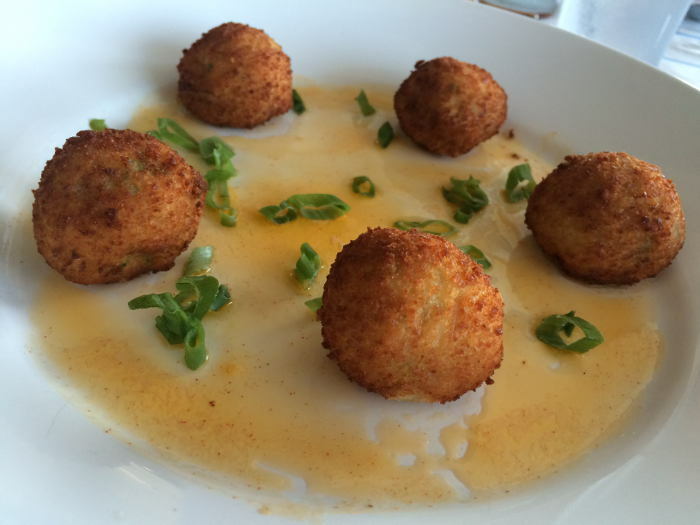 Five crispy, deep fried crab balls. Good, not great. I like my cakes and/or bites a little lumpier. 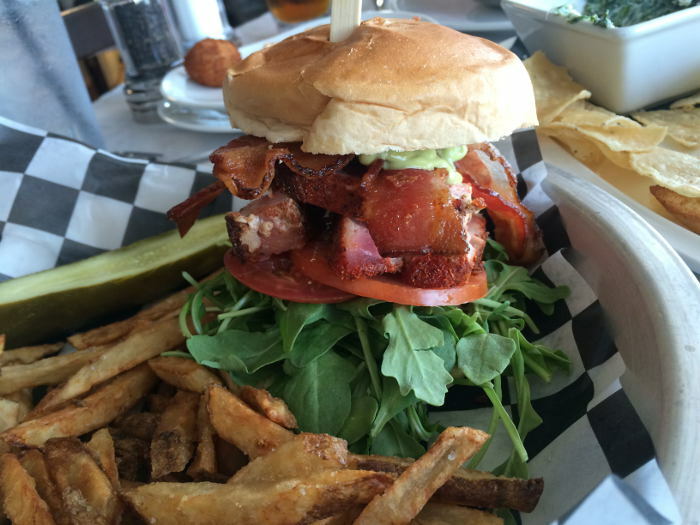 Blackened Ahi Tuna BLT – bacon, arugula, beefsteak tomato, avocado spread, roasted garlic, aioli on knotted challah roll ($14). This is a great alternative to the standard burger with plenty of flavor and a lot of good stuff going on in your mouth. House Salad – mixed greens, smoked mozzarella, Roma tomatoes, avocado, bacon, almonds, garlic croutons, cucumber wrap with citrus honey vinaigrette. ($9). Nice – all fresh, good size and a great combination of elements. 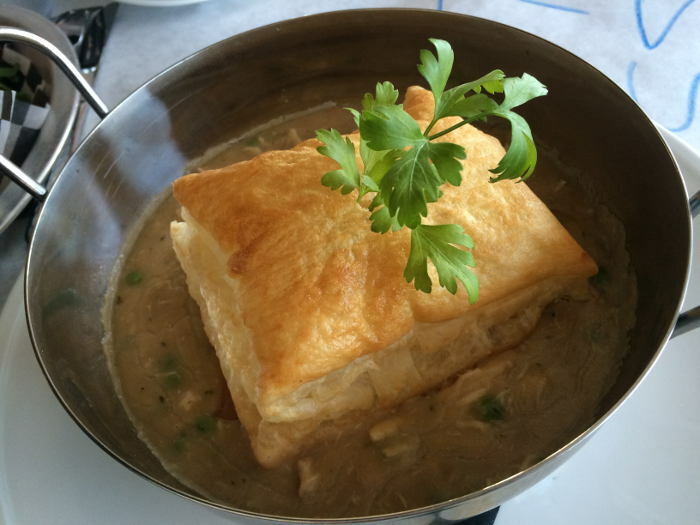 Free Form Chicken Pot Pie- rotisserie pulled chicken, carrots, leeks, peas with puff pastry ($12.75). My first inclination was to say this is cheating. A “pot pie” shouldn’t be this easy. This was a chicken “stew” with a puff pastry on top. My second inclination was what a great idea. Why didn’t I ever think of this? 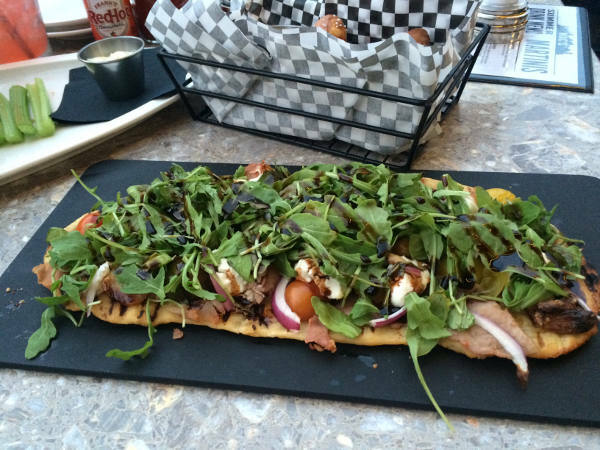 The dish was very tasty and reasonably priced, if not traditional.